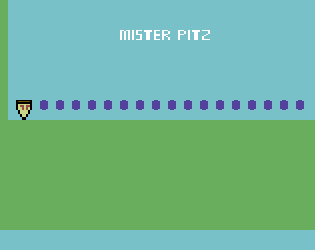 The newest demo for Mister Pitz has finally arrived! Now, this demo is very rough and there are some problems with it. All of the problems in this demo will be fixed in the final game. I just wanted to upload this new demo to show off the boat level and the new background I made for the game. I'm hoping to release the final game sometime in December of 2016, but I also don't want to rush the game. So, it might come out later than that. On the first screen of the game, you can press one or two to switch levels.